The Beatles. Four young men from Liverpool who changed the entire landscape of the music industry. From humble beginnings to hard-working musicians struggling to book gigs in the seediest bars in Britain and Germany, to the greatest band in history and the inevitable break-up due to personality clashes, business decisions and ideologies, their story is an odyssey of almost mythical proportions. It’s almost impossible to find someone who hasn’t even heard of them, such was the impact they had on the world, and it’s believed that there’s always a Beatles song being played somewhere in the world at any given time. 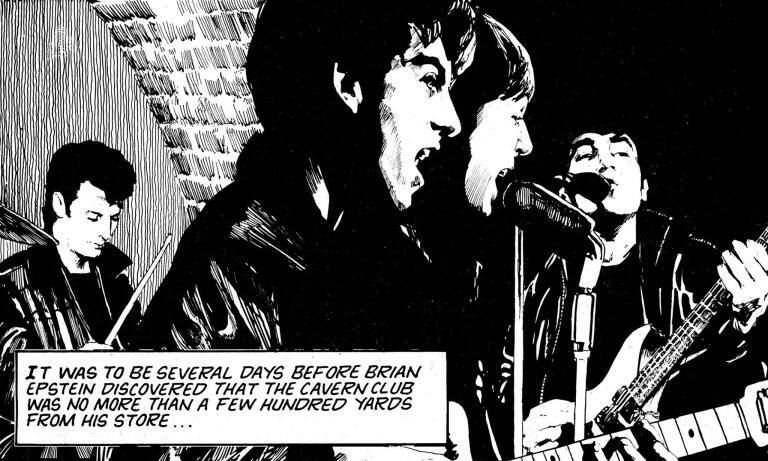 The Beatles Story covers their origin and the rise and fall of the band, with impressive photo-realistic art and written in a way which covers both the lows and highs in a documentary style. It includes some of the band’s missed opportunities and misfortunes from their club-gigging days, as well as some of their most amusing banter from interviews, and serves as a solid primer for anyone keen on learning more about them. 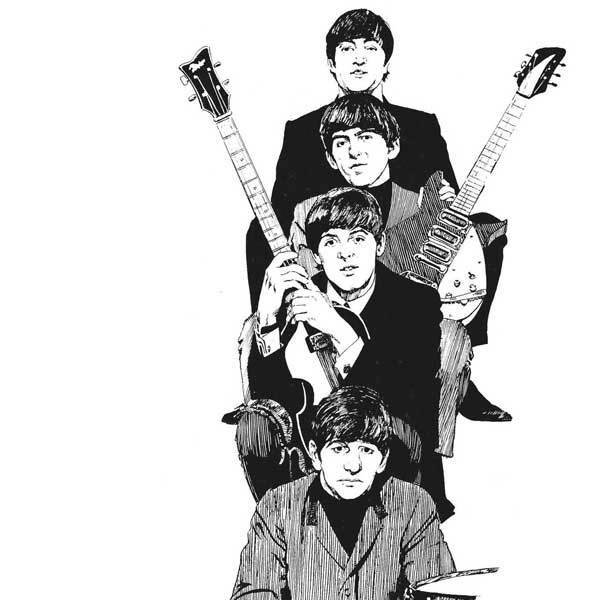 Unfortunately, it’s impossible to sum up the influence that the legendary musical group had on the world, let alone the history of the band and its members – John, Paul, George and Ringo – in less than sixty pages. It also doesn’t help that comic books are a silent medium, which kind of defeats the point of covering a musical group to some extent. Meanwhile, the full story of “fifth Beatle” Stu Sutcliffe is only covered vaguely, finer details like all the complicated technical work which went into creating the Sgt. Pepper album is barely mentioned, and the band’s break-up and their reactions to it aren’t shown in detail. But then, since this was originally created shortly after the death of John Lennon and wasn’t intended to be a complete A-Z of the band anyway, much of the rushed feel is understandable. Still, it’s great to see Rebellion re-issuing more collections from their massive library of titles, and the diversity of them is truly appreciated. 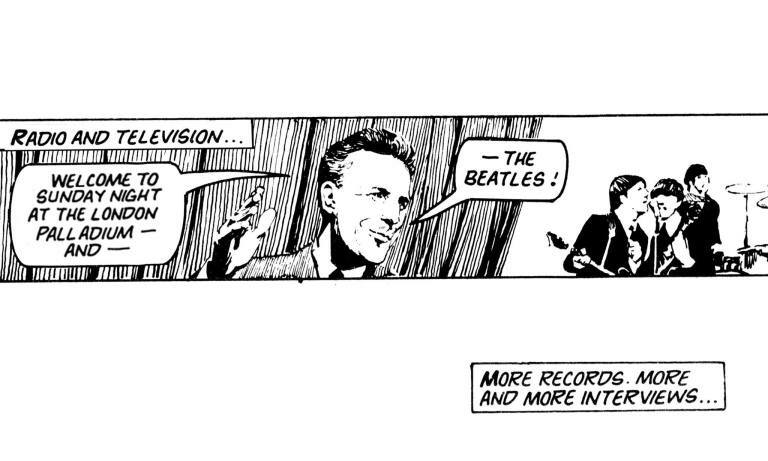 The Beatles Story, like Faceache, The Dracula Files, Misty and so many others, deserves to see the light of day once more and without these reprints it might be lost forever. Which, especially because of the impressive artwork contained in here, would be a genuine loss. Ultimately, as is pointed out in the book’s afterward, this is more about the mythology of the band than a highly detailed account of the truth. In that regard, it succeed, and if you don’t know much about them or why they’re so important then it’s a fast read and covers most of the important points. However, for those who may already be knowledgeable about The Beatles, this may be little more than an attractively-presented quick-skim guide. Either way though, it’s a decent buy and is further proof that the comic book medium has more to offer than spandex-clad superheroes.